Woot! Woot! Today is THE day! Today is the day when I penned down my first blog post - a humble Hello World (I am a geek that ways ;)). It's been a whirl wind journey one year of blogging. Officially, I think I can safely say that I am fashion and lifestyle blogger! Thank you to all my readers, fellow bloggers, friends and family for supporting me, cheering me through this journey. Let me say that almost everyone I met was confused about why I started this blog or why I am blogging or what is this need to blog. Don't I have enough things to do in the day? Why I am constantly taking pictures and uploading them on the blog? What's this new 'fad' basically? And like with every fad/whim, I think everyone (even I) thought that one day, it will cease to oblivion. But hey, I have surprised myself here (and everyone too)! Feels really proud to see your passion through the test of time i.e. the first year hitch! When I started this blog, I was not working in a full-time job, but eventually down the road I started working and so blogging took a back seat. I was travelling, driving, shopping, enjoying life and in all this blogging too. I can definitely say that the content of my blog - my writing style, my aesthetic sense , the photography, and everything in between - has evolved because I have evolved the past one year. And without blabbering much, today I just want to talk about the ten things I learnt in the first year of blogging! 1. Coding and building pages - Well, to admit yes I am an engineer by degree and work in the technology industry. But, I have no experience in HTML or CSS coding. But hey, here's the surprise..all the pages, links, menu bars, and logos, all the 'special effects' on this blog have been built by yours truly! I googled, struggled, tried and tested CSS code to know how to change the particular components of the pre-set blogger templates. Not all of this was achieved in one day, but let me tell you the thrill and excitement that you see in something you have built from scratch is simply unbeatable! 2. Building a user-friendly and professional website - This has been an ever-evolving process. I have been religiously following different blogs for a couple of years now, so I did have an idea of the user experience of a blog. Just with that idea, I wanted to create a better place on the internet for me. I want to thank all the bloggers and my readers who have guided me through this process. Do check out the newly formatted 'lookbook', 'foodie corner' and 'travel diaries' pages. 3. Photography - A fashion blogger or for that matter a lifestyle blogger needs to have good pictures on his/her blog. Unless I was a brilliant writer (which I am not yet) readers would be mostly intrigued by the pictures. And it’s true a picture speaks a thousand words! So better get it right! We bought a DSLR last year, but to say the truth I had the least idea of how to shoot a good picture. But all this got better with time and experience. Lighting is what can break or make a beautiful picture (Believe me, that's a major factor in getting the colors of the outfit right!). Immense gratitude in this department goes to my better half for taking the time, efforts and of course money (ahem, DSLR is $$$) to get the photographs right! (It’s in his genes I guess, since my father-in-law is an avid photographer himself). 4. Writing - Though some of my friends have lauded my writing skills, I think there still a long way to go there. One year down, and I still struggle with the grammar, sentence formation, clean and concise writing. I think learning the nuances of writing a good post is always going to be a Work In Progress. Sometimes I go overboard and my sentences form paragraphs; but, I am learning to break them down and make it easier for the reader to understand my thoughts. 5. Meeting people from different backgrounds/countries with similar taste and ideas - Starting this blog I was able to break the boundaries of distance. 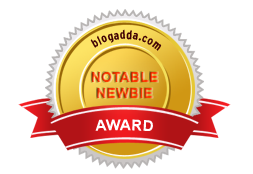 I am so happy to have a new category of friends now - Blogger Friends! We share similar passions, tastes in food, clothing, and travel and are more or so of the same age! BINGO, I say! Connecting with people on social media via day to day interactions is something I look forward to and makes me happy after a tiring day at work. 6. Dressing for my body type - Most of the fashion blogs, I followed or still follow, are of bloggers with 10-on-10 figures. I am of the opinion that, anything or everything will just look fab on them! Though, I truly admire and aspire to have a body like that, I have to dress up for the pear-shaped body I have today. (Pear-shaped meaning, I wear small/XS on top but large for skirts/shorts/pants) The thing is, I cannot ape the clothes or styles my idol-bloggers are wearing. It took me some time to get this point with small mistakes here and there. But, my sense of dressing has started to get better and better with each passing day; I have learnt to look presentable and attractive without being out of place. 7. Sharing my travelogues - I think I have professed enough love about travelling and sharing with you all through this blog. Travels, for me, are a way to break the daily routine aka monotony of life. So, I am sure that my travels are something which will always inspire me to write about. 8. Foodie corner - Cooking, trying new recipes, and sampling different cuisines is an integral part of who I am - though I wasn't this person when I lived in Mumbai. I never entered the kitchen then; maybe if mum was real pissed with me or tired or sick, I did occasionally paid visits to that room. I did eat out in Mumbai but that would be just the regular local cuisine; nothing fancy. Coming to the US, I had to learn to cook, learn to satisfy my cravings and then there was the 24x7 Food Network channel running amuck with inspiration. Though I would say that, my cooking has declined over the past year (as compared to my days in Boston - where I didn't pen my recipes but tried out variety of dishes in the kitchen). This is something I want to get enthusiastic about, again. 9. Social media and self-promotion - I am one of those people who don't like to talk about myself, my achievements, or maybe it's just that I don't know how to put forth my actual worth! I am struggling in that aspect; but thanks to twitter and my blogger friends, I am learning the art of self-promotion and branding! Well, some may even think I am on verge of narcissism, but for them I would just say that - Believe me, its immensely motivating to have an ego boost once in a while! And who doesn't like it when their efforts behind the stage are appreciated! 10. Balancing act - When I started this blog, I did not work full-time and so, it was easier to manage the blog work. But since I started a new job last fall, and it has become a true test of how I manage my time with work, home, and blog. I had to literally struggle to think of a good post idea, the number of posts started to decline, I felt a loss of inspiration to cook or create new outfits. (All my inspiration, now, was put to use every morning in creating office-wear looks and sadly, I didn't have a minute to spare then to record them for the blog) On the weekends, I was too exhausted/sleepy/lazy to dress up and take outfit pictures. I think most of my blog posts revolved around my travels in the summer or outfit pictures taken in summer. Eventually, I realized that, first I really loved to blog and secondly, if I want to get good at it then, I need to be better at time management. I started to plan my time on the weekends - I stopped watching tv shows, movies (endlessly), stopped being a couch potato. Once, while working in office, it struck me that it was much better working with a monitor and keyboard setup than a laptop. So, there I got a home office installed (thanks hubby!) and things are much faster when working on blog posts now. My drive to work was an hour long each way (read: I had a lot of ME time there); so thinking/brainstorming about post ideas while driving to work came natural. Every day, after work, I spent some time to check/update social media, and communicate with readers/fellow bloggers. Basically, small things here and there made big difference to my blogging routine and gave a momentum of sorts. Finally, to wrap up all my year's work on the blog, it would have not been possible without husband's support. His interest in food, travels, dressing up, fashion sense, and of course photography has helped me to build a better place on the internet! His keen eye for angles, lighting and dedication towards his art is something I truly admire. And thanks for lending me a helping hand here and there :) So there you go, behind every successful passion, there is an equally understanding and supporting partner! Just saying thank you will not be enough..will treat you to a home-cooked memorable meal (which will definitely include a 'Leva-patil style' spicy chicken curry). Please leave a comment below mentioning all the accounts with which you are following and an email id to reach you in once single comment. 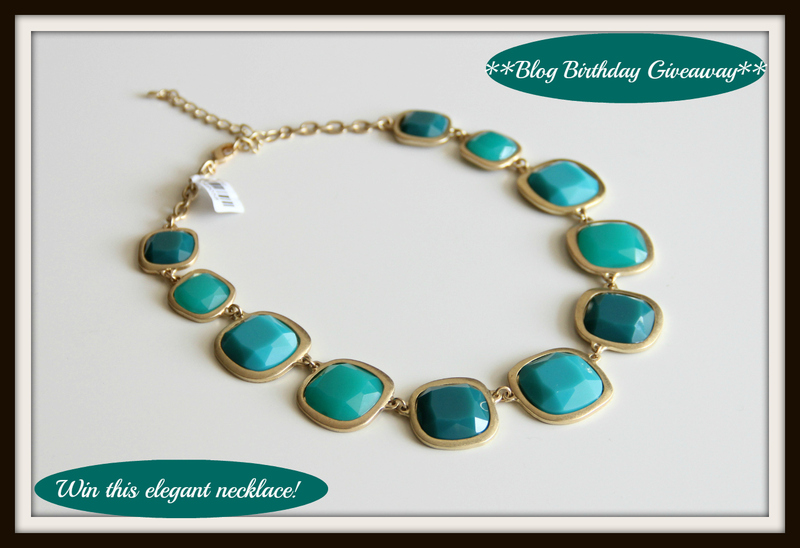 The 'Blog Birthday' giveaway is open to US readers only. To win this giveaway, you must follow all the three required rules. The giveaway ends on May 1, 2013 and a winner will be chosen randomly. All the very best, people! ah..lovely post..i relate to it completely. i am super excited for this giveaway. the necklace is super good looking. i am already following you everywhere with name cactusandcucumber. Congrats Ashy.. Lovely Post..Well Written.. I would love to win that necklace.. I have followed all the Rules. 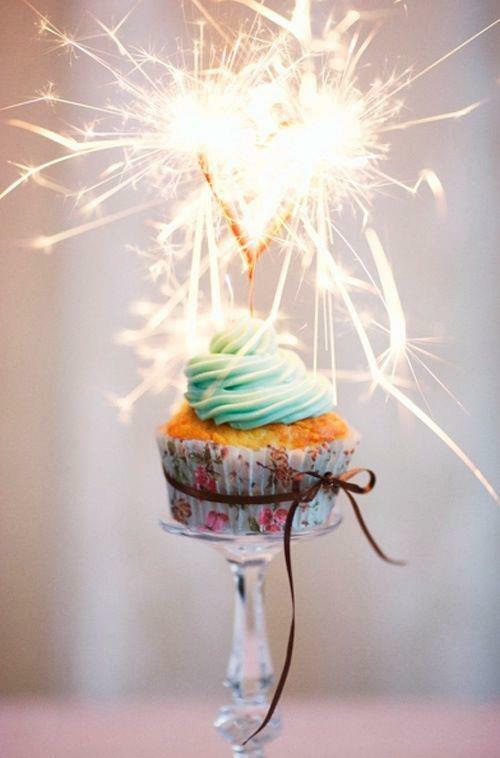 Congrats on blog :) Happy B'day :) Beautiful giveaway! Would like it because it is very stunned color. Already followed u on GFC as Archana Vijay. Liked your fb page as Archana Ramachandran. Hope I am qualified dear? I seriously enjoyed reading this post..i so relate to a lot of things u have mentioned. Even i was bombarded with a lot of questions when i started my blog, ppl r bored seeing places with me, coz i m clicking endless pics.N yes, blogging has definitely made me plan my time better. i dont watch TV, not even on weekends, n i read newspapers only on sundays, coz rest of the mornings i m reading blog posts by fellow bloggers..;) they have much better stuff to share. I am following u on GFC, Bloglovin, n fb(Aditi Sawant/So-Saree)..i do not use Pinterest, or else i wud have followed u thr as well. if i do win..(i hope i do..i love that necklace) I will share my US mailing address wid u. Congratulations!! Wishing you more and more success to you and ur lovely and relatable blog! Following you in all sites! Following yu on FB, GFC (longtime follower) an bloglovin! Lovely giveaway!! Wish me luck:-) Hope you are having a wonderful day! Following you on all the 4 and Fingers crossed! Its a lovely necklace. Thanks for this post, I really liked hearing your take on blogging. I've been struggling with it because it sort of no longer fits into my life as much as it used to (I don't really care about fashion as much...truth, haha). When someone who really has a passion and loves it shines through, and I cant tell in your writing. I always enjoy actually reading your posts! I don't want to quit blogging, but I'm trying to see how I can fit it into being more conscious and aware of what you are buying and wearing, since that has become so important to me. I am following you on all 4 social media platforms!